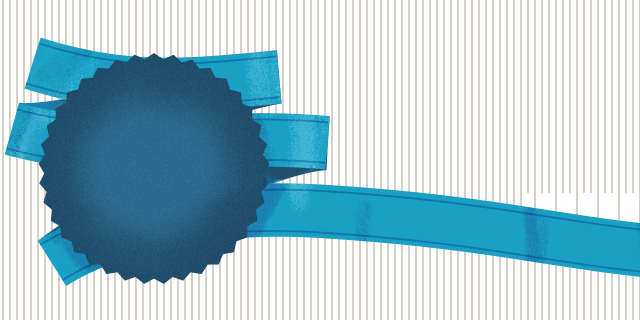 These Terms and Conditions govern the use of sugarblueburlesque.com (“the website”) and the purchase of any goods or services from it. Sugar Blue Burlesque reserves the right to amend or update such terms, conditions, disclaimers and limitations of liability at any time without providing notice to you. By using the website, you acknowledge that you have read and understood these Terms and Conditions. All products are shipped through Australia Post and will posted on the next business day after order is purchased. Australian orders will be sent via Express post, so they are due to be delivered in the next business day after being posted. You will receive a tracking number from us via email. As we use the Express post satchels, we combine postage if you buy more, ie: up to 500grams, up to 3kgs, up to 5kgs. International orders are done using the standard postage option through Australia post. All items have an estimated delivery time of 3-10 business days to all metropolitan areas of major cities and we will provide you with the tracking number. If you are interested in a quicker delivery, please email us at info@sugarblueburlesque.com and we can give you further options for postage. Returns and Exchanges on products featured in the online store. We do our very best to create and stock the best quality products, however if you feel there is a problem with the quality of your order, please get in touch via email immediately and return the product within 7 days of receiving it and we’ll do our very best to remedy the problem. If there is a defect with the item, we will replace it. If the item is sold out and we are not able to replace the defective item, we can offer a full refund including postage. If the clothing item does not fit, we are happy to replace the item with another size. This refund and exchange policy does not apply to goods which have been worn or used, damaged after delivery, or if any attempt has been made to alter the product. All products must be returned in their original condition and packaging. All postage and insurance costs are to be paid by the buyer to return the item to us. We recommend that you return the product via Registered or express post and that you pre-pay all postage. You assume any risk of loss, theft or damaged goods during transit; therefore advise you take out shipment registration of insurance with your postal carrier. Sugar Blue Burlesque will not be responsible for parcels lost or damaged in transit if you choose not to insure. 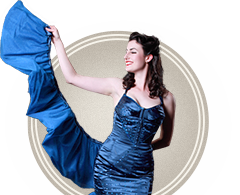 Copyright in the Sugar Blue Burlesque website is property of Sugar Blue Burlesque. 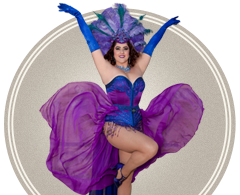 Material on this website also comprises copyright material, trademarks and registered trademarks which are the property of Sugar Blue Burlesque. This property may only be used for the purposes of browsing the sugarblueburlesque.com website and acquiring goods and services of Sugar Blue Burlesque. All care is taken to ensure that sugarblueburlesque.com websites and data transmissions are free from viruses. However, it is your responsibility to scan any such data for viruses.